A Teacher Training Dedicated to the Classical Teachings of Yoga, Yoga Philosophy & the Ancient Wisdom of Ayurveda. Join us for our 7th annual Synergy Yoga Teacher Training Program. Our program is registered with Yoga Alliance at the 200-hour level. You will learn to teach Synergy’s signature style: A flowing, devotional and classical form of Hatha Flow Yoga with an emphasis on yoga philosophy and Ayurveda, yoga’s sister science. Our training will include: The practice and study of yoga asana, yoga philosophy, pranayama, meditation, anatomy/physiology, chanting, and hands-on adjustments, prenatal yoga, restorative yoga and professional development, as well as the art of teaching and sequencing. This program will offer you a solid foundation in classical yoga and will provide the skills necessary to pass on the ancient tradition in a safe and authentic way so that your teaching is accessible to everyone. Our intention is to offer students an experience of real immersion. Being a part of an intentional community, studying and practicing together over a 8-month period will allow you to integrate the essence of the teachings in a very profound way; through your own direct experience and innermost understanding. This is what will lead you to teach authentically – from your own heart and wisdom. Our first two Synergy Yoga Teacher Trainings were held in India, and were one-month residential trainings. We feel the residential aspect of a teacher training course is an invaluable experience – where you’re fully immersed in a yogic lifestyle with your community – and we wanted this for our Seattle students as well. For this reason, a three-night retreat at the beautiful Whidbey Institute on Whidbey Island is part of the Synergy Yoga TeacherTraining. We request that you have two years of dedicated yoga practice and a sincere desire to deepen your knowledge and practice. We welcome practitioners that wish to teach in the future, and we also encourage students who may not want to teach but genuinely want to steep themselves in practice and study. The training will be held at Om Culture at the Greenlake location. Full details of the schedule and costs are below. Jodi feels that yoga is a precious gift and one of the greatest influences in her life. Initially drawn to yoga for the physical benefits of becoming stronger and more flexible, she soon realized there was something even more profound than the effect it was having on her body. Yoga deeply touched her heart, spirit and mind. Practicing yoga led Jodi to seek teachers and teachings in many places, close to home in Seattle, as well as in many parts of the world. Yoga became her passion, in addition to the work she was doing with different nonprofit organizations as a grant writer. Drawn to sharing yoga with others, Jodi began teaching in 2001. Since, she has continued her studies by taking numerous teacher training courses, workshops and retreats. The path also led Jodi to become a certified pre-and postnatal instructor and labor support doula. She has also studied yoga’s sister science, Ayurveda. Jodi offers trainings in Pre and Postnatal Yoga, Restorative Yoga, Vinyasa Yoga and Foundations in Ayurveda annually in Osaka, Japan. 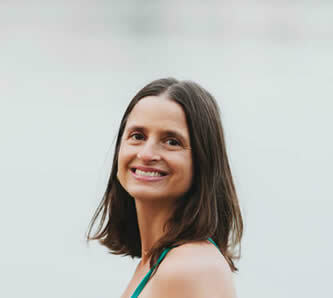 Jodi lived in Goa, India for 6 years, from 2007 to 2014, where she co-directed a yoga retreat center and taught teacher trainings and community yoga classes. With a background in Iyengar, Vinyasa and Ananda yoga, a devotional style of yoga based on the teachings of Paramhansa Yogananda, Jodi draws from these traditions to create a fluid and meditative practice. She teaches to inspire others to experience yoga within all aspects of ourselves, creating a sense of wholeness among our hearts, bodies, minds and spirits. This sense of wholeness or oneness also dissolves our sense of separation from others. She encourages students to go inward; nourishing themselves, deepening their intuition and honoring the divine within. Jodi holds a Bachelor’s Degree in Liberal Arts and a Master’s Degree in Nonprofit Leadership. Her yoga training includes completing the Ananda Yoga YTT, Colette Crawford’s Pre-and Postnatal YTT, Brahmani Yoga’s Advanced YTT, Baron Baptiste’s Level I and II Power Vinyasa YTT, as well as numerous trainings with teachers such as Seane Corn, Shiva Rae, Gary Kraftsow, Shari Friedrichson, Nikki Myers and Hala Khouri. She has also completed the Silver Age YTT to teach yoga to seniors, as well as Judith Lasater’s Relax and Renew ® Restorative Yoga Teacher Training. Additionally, Jodi has been a faculty member on the Brahmani Yoga YTT in India, Shakti Spirit YTT, in India and Bali. She is a current faculty member of Spirit Yoga’s YTT in Japan, Be Luminous Yoga in Seattle, and Shakti Yoga in Ballard teaching modules in Prenatal Yoga, Ayurveda, Yoga Philosophy and Restorative & Yin Yoga. Jodi is grateful to the teachers who have inspired her most over the years: Gyandev McCord, Lisa Black, Baron Baptiste, Julie Martin, Emil Wendel, John Weddepohl, Katerina Wen and Judith Lasater. It is in the spirit of bhakti, (devotion) that Tami approaches her yoga practice & teaching. Since taking her first class in 1993 Yoga has served as her greatest anchor and guide. Yoga is the path in which Tami has nourished & enlivened her body, heart & mind. Her practice offers her space to connect to her subtle energy, peaceful sacred essence, ultimately to spirit and to love. Tami has studied extensively with master teachers in India, Australia, Europe & the U.S. Her training includes: a residential 200 hour program with Integral Yoga in Melbourne Australia, Yoga Arts 1100 hour course in Byron Bay Australia, level 2 Advanced Teacher course with Pacific Yoga in Seattle, WA, Viniyoga Teacher Training with Gary Kraftsow & Vinyasa Yoga Teacher Training with Shiva Rea. Additionally, Tami has completed a Thai Massage program in Chiang Mai, Thailand, Ayurvedic courses in Mysore & Goa, India. Ayurvedic workshops with Vasant Lad and has graduated the Kerala Ayurveda Academy 500 hour Wellness Counselor Program. Tami holds a bachelor’s degree in Psychology. She began teaching in 2000, & draws most from her classical training in Ashtanga, Iyengar, Viniyoga and Ayurveda. Her artfully sequenced classes are at once strength building and nurturing. Tami shares insightful, relevant and practical tools from Yoga & Ayurveda for modern day living. She offers hands on adjustments that are skillful & intuitive. 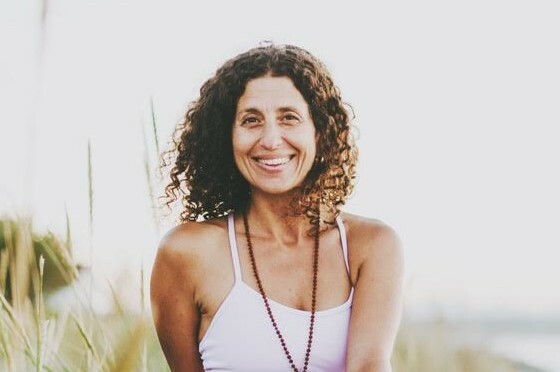 Tami creates a practice space that is soft & welcoming so that others are deeply nourished as they expand awareness & connect to the wisdom & light within. With gratitude & joy Tami shares the delights of yoga. She teaches weekly classes, workshops & routinely offers retreats in gorgeous settings throughout the world. For many years Tami was a faculty member of Samadhi & Yogalife’s Teacher trainings. Currently Tami teaches on the 8 Limbs summer intensive Teacher training course and is the co directer of Synergy Yoga’s teacher training. Additionally she teaches prenatal yoga, serves as a labor support doula and is an Ayurvedic wellness counselor. She continues to attend retreats & workshops regularly to deepen her practice & inspire her teaching. She feels blessed to be on this unending journey of renewal & transformation. Tami’s greatest teacher is her son Indi Kainoa. From him she has learned unconditional love, patience and the joy of being fully alive and awake in the present moment. 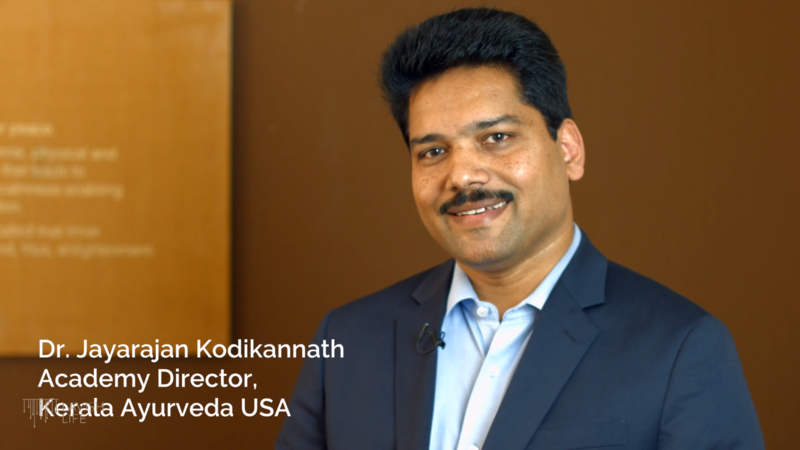 Dr. (Vaidya) Jayarajan Kodikannath is the Academy Director, Kerala Ayurveda USA responsible for all academic programs conducted internationally by Kerala Ayurveda. Dr. Jayarajan is an experienced Ayurveda Scholar with a degree in Ayurvedic Medicine from Mahatma Gandhi University, Kerala. He has run a successful Ayurvedic Wellness Practice. He is also a lead trainer for domain experts in Ayurveda, focused on developing internal resources through training programs and developing new offerings in Ayurvedic education. He has rich experience in creating programs in Ayurvedic wellness and has effectively demonstrated and implemented new offerings in Ayurvedic Wellness in India, Europe and the US. He headed the Ayurveda Expert team in the new research project development at Kerala Ayurveda on Efficacy, Safety and Standardization of Ayurvedic Wellness solutions. He is a member of the Expert Curriculum Committee for Masters in Ayurveda at Bastyr University, Seattle, US. He is also Jodi and Tami’s beloved Ayurveda Teacher. Patti Hammerle has a degree in Comparative Religion and did several years of graduate work in Hindi, Sanskrit, and linguistics at the UW. She started traveling to India in the late 1980’s and has been more than 20 times since. Trips have included stays at an ashram in Rishikesh, Hindi school in Uttaranchal, several times to the source of the ganges at Gaumukh, high altitude adventures in the Himalayas, the deserts and countryside of Rajasthan, and south to Mt. Arunachala, Radha Swami satsang in Delhi and Beas, and mantra and meditation practice in Varanasi. 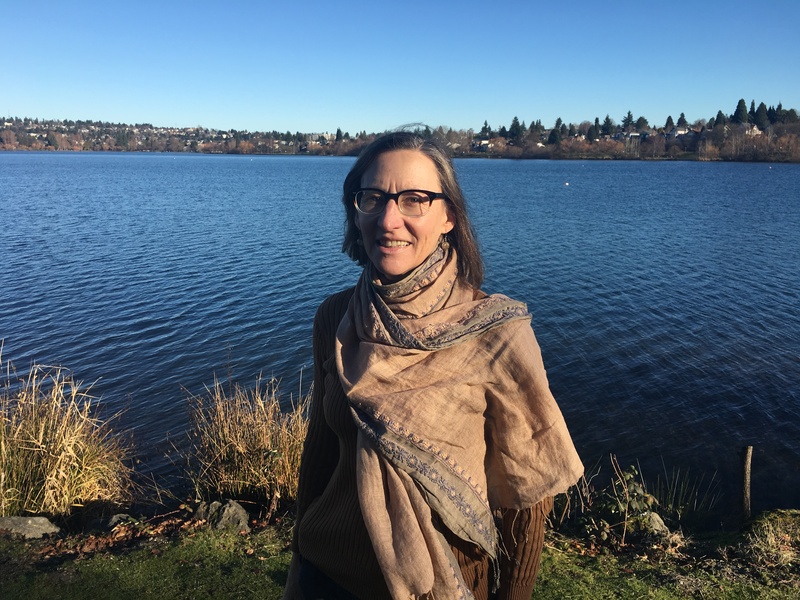 She has taught Yoga Sutras and other sacred texts as part of Kathleen Hunt’s teacher training program at Samadhi Yoga, as well as at Seattle Language Academy, Traveler’s Tea House, and privately. Classes have included Sanskrit, Gita, mantra, nyasa, and Hindi. She is passionate about learning and teaching the wealth of wisdom from the ancient sources that continues to present itself anew with every study. Kathleen Hunt co-founded and co-director of Samadhi Yoga and the Samadhi Yoga Teacher Training Program. Her lifelong passion for dance and movement began with ballet lessons at age four. After graduating with a BA in Dance from the UW, she received numerous grants and commissions to produce various choreographic/performance art shows and pieces in collaboration with many excellent local Seattle musicians, visual and literary artists. Kathleen’s practice and teaching have been influenced by her studies with Marie Svoboda, Dharma Mitra, Aadil Palkhivala and Sri K. Patabhi Jois. She attended the Sivananda Yoga Teacher Training in upstate NY. She has also studied voice with Maestro David Kyle and Maria Mannisto. 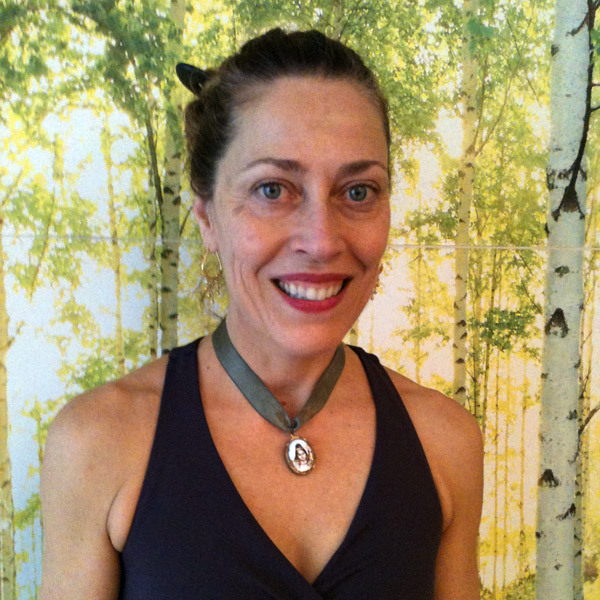 Kathleen began teaching dance and movement classes in 1983 and yoga in 1986, starting at Jivamukti Yoga Center in NYC. She then moved back to Seattle and started and ran the yoga program at Physical Culture Dance Center for 11 years. In 1995, she founded the ‘Samadhi Yoginis’ a dance troupe, and in 1998 started the Yoga Alliance certified Samadhi Yoga Teacher Training Program, which has trained 170 teachers. In 1999, Kathleen and her partner, Steve Davis, opened Samadhi Yoga Center on Capital Hill in Seattle. 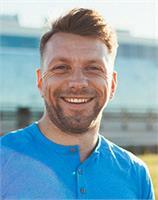 Andreas Fetz is a Seattle based yoga teacher and circus coach. He’s dedicated to helping his students create a healthy balance in body and life — incorporating strength, flexibility, sound nutrition, and a focus on developing a solid foundation from which to build an exercise and health program. 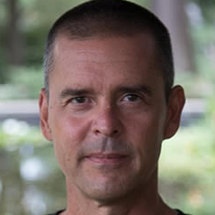 Troy has dedicated the last 28 years to the practice and study of yoga. He has developed a multifaceted technique that allows a person of any age, size, and lifestyle to tap the full potential of what a yoga asana practice has to offer. His primary yoga influences are Tim Miller, Pattabhi Jois, and Richard Freeman. Skilled at drawing out the natural intelligence inherent in each student, Troy has the unique ability to assess and understand each student’s body and yoga practice with humor and patience. His hands on teaching style is simultaneously vigorous and contemplative. Known for his insightful and deeply therapeutic adjustments, he offers in-depth knowledge combined with the grace and ease that comes with years of experience. Zak Endicott has been teaching yoga in the Seattle area since 2011 and has since dedicated his life to serving others, by sharing yoga and by becoming a volunteer firefighter/emt at Vashon Island Fire and Rescue. Zak teaches classes heavily influenced by Ana Forrest’s alignment based, creative sequencing while also having a background in vinyasa and astanga practice. He is passionate about his classes making accessible the potency, as well as healing powers, of yoga practice to each and every students’ waking experience, every single time that they step onto the mat. His classes weave together pranayama, vinyasa, bandhas, meditation/concentration, Tapas/intensity. Zak prefers to use targeted sequences that always change from week to week, focusing on a specific group of apex postures, specific body parts or muscles, chakras, physical themes, or a specific spiritual intent. Zak’s first exposure to yoga was through learning meditation from his father as a young boy. Later on, as an adolescent he began reading the “Bhagavad Gita” and books by Tich Nhat Hanh. He began practicing vinyasa style yoga at his local neighborhood studio in 2007 and then completed his first 200 hour YA training in 2010. From there he began practicing from a variety of teachers and masters from all lineages, especially drawing inspiration from teachers and lineages like, Dharma Mittra, Kino McGregor, David Guerrigues, Janet Stone, Rusty Wells, Amy Ipolliti, Elena Brower, Liz Doyle, Lisa Black, Baron Baptiste, Astanga yoga, Katonah Yoga, and Ana Forrest. Over the last 10 years Zak has completed his 200 hour yoga alliance certification, and has continued on to complete advanced training with Ana Forrest and is in ongoing training with Ana, his teacher. He has led daily public classes in the Seattle area for seven years, workshops, local and international retreats, fundraisers, has mentored and trained many teachers at Shakti Vinyasa Yoga, facilitated teacher trainings at Shakti, and continues to loyally serve his students and community with deep joy, gratitude and pride. Wayne Trinklein is a licensed massage therapist living in Seattle, WA. He graduated from the Cortiva Institute for Massage Therapy in 2010 with 750 hours training, then completed the 1000 hour training in 2012. 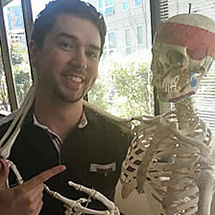 Since 2014, he’s taugt beginning and advanced Musculoskeletal Anatomy and Kinesiology at Cortiva. 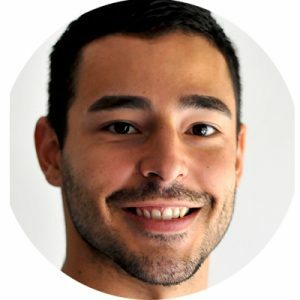 He practices massage at Dreamclinic in the Greenlake area, specializing in Thai massage and Table Thai adaptations, a technique involving passive range of motion stretching and meditative compressions aimed towards increasing range of motion and relaxation for his clients. When he’s not massaging clients or teaching anatomy, Wayne loves spending time with his greyhound Rambo, or going out to explore the vast wilderness of the Pacific Northwest. 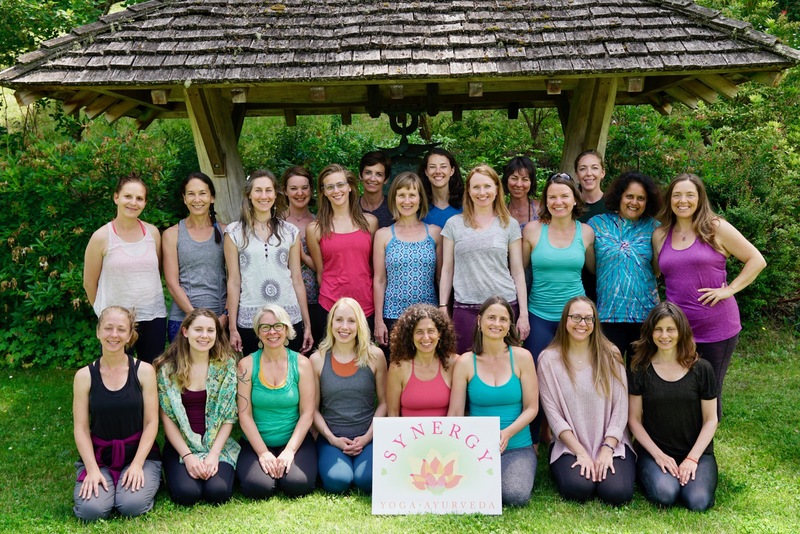 The cost of the Synergy Yoga Teacher Training is $4,200, when paid in full before the training begins. This includes the 3-night retreat at the Whidbey Institute on Whidbey Island. $500 due on the 1st of each month starting December 1, 2018. To be on a payment plan, you will have automatic payments set-up through PayPal using your credit card (we will help you set this up). Click Here for Training Dates. In addition to these dates, each student will be required to observe 2 classes and assist 4 classes taught by Jodi or Tami at Om Culture Greenlake.